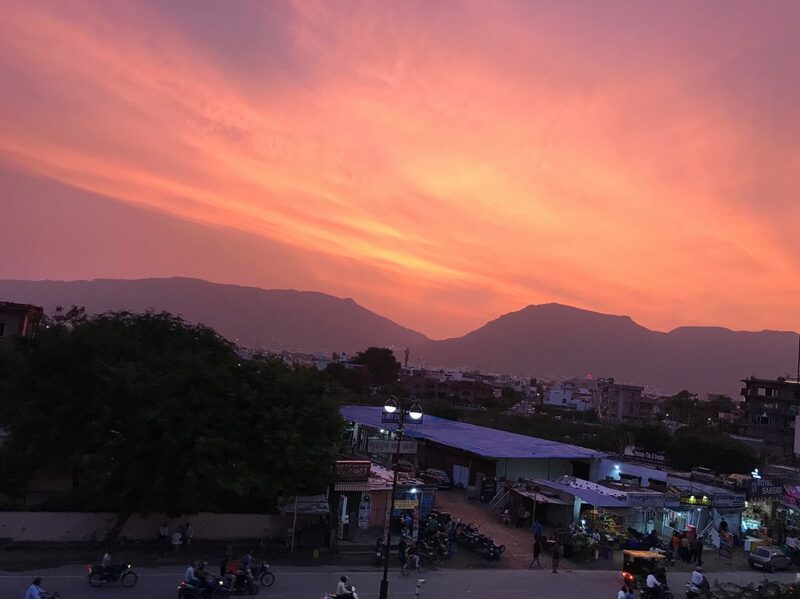 Here in Ajmer, Rajasthan (in case you read my last blog- ironically the plans did change again) the weeks have begun disappearing before my eyes just as I am finally starting to settle into a routine. 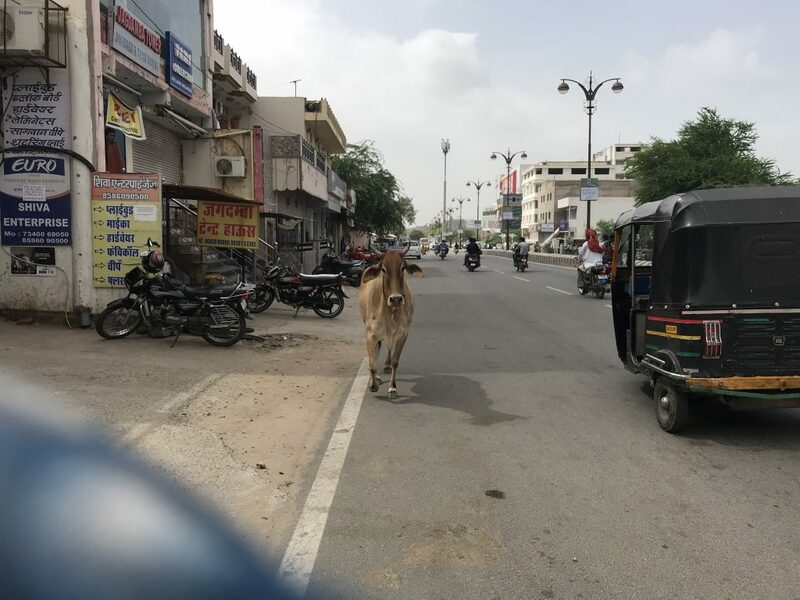 The sights, smells, tastes, and sounds which are so very different from those at home have become familiar, and I’ve even grown accustomed to walking amongst the chaotic medley of cars, auto-rickshaws, bicycles, scooters, cows, people, and sometimes camels, every day on my way to work. I’ve been learning how to make chai which I do first thing every morning, I’ve started recognizing friendly faces on the main street where I live, and I’ve been attending yoga class almost every evening. 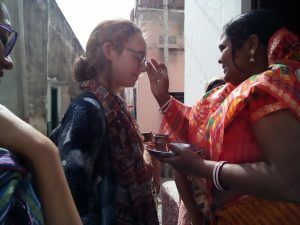 One of the adjustments I’ve felt most clearly has been my own shift out of a constant defense mode; now, four months into my time in India, I am much more open to connecting with people and I’ve learned that the never-ending staring, which felt so uncomfortable and scary at first, usually comes from a place of curiosity rather than hostility. Although my experience and the way that people interact with me is very much a product of my identity as a white foreigner, it has been encouraging and exciting to discover that smiling at people who are staring at me more often than not elicits a smile and sometimes even a nod or a wave in return. And just like that, the environment around me has transformed from intimidating to friendly; the unpredictability of the daily walks to and from work has become something I look forward to rather than dread, and tasting and comparing different cups of chai from the numerous, once seemingly unapproachable, chai stalls has become a favourite pastime of mine. As part of my internship, I have been given the exciting opportunity to conduct an independent research project under PRIA’s supervision. This has involved a hefty amount of background reading and literature review to help develop a research question that fits both with my interests and experience as well as with PRIA’s current projects and with the communities they are working with. It has involved writing a proposal, and talking with numerous different people to get their input and to try to understand where my project fits in the grand scheme of things, and the role that I can occupy in carrying it out. It’s been an incredible experience and a lot of work; a hands-on challenge that I have learned more from than any textbook. 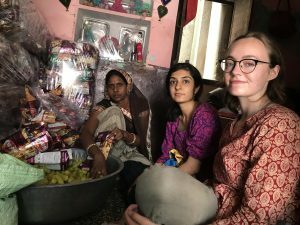 When people ask me what I’m doing in India, I am often vague about it- I feel very hesitant to share that I am doing research because throughout my time here I have continued to struggle with the ethics of me -a foreign, non-Hindi speaking, undergraduate student- doing human-based research in a country where I do not speak the language, where I know very little of the political, social, historical and economic context, and where I have not lived any of the same realities as the people I am interviewing. What right do I have to be doing this, to be going into people’s homes and asking questions about their lives so that I can carry out a research project which, because of my own inexperience and limited amount of time here, will likely not be that useful for them? 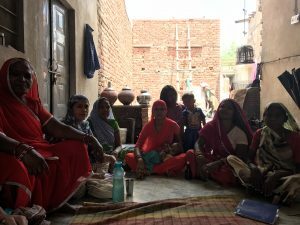 I am learning and gaining so much more than I can give back, and I think about this, and how I can mitigate the impact I might have both on the PRIA staff who are helping me, and on the women who are taking time out of their workday to speak with me, every day. Sometimes I feel paralyzed because the more I try to find clear cut answers about what is right and what is wrong, the more uncertainties I uncover, and when all I have are questions and no answers, I don’t know how to move forward. The result is that my project is coming along much more slowly than it would be for an experienced researcher, and I can only hope that those who would carry this research out more effectively than I can will understand where I’m coming from. What I have learned and what I’m still learning is that ethics in research are not black and white: the clear cut answers that I tried to find during my first couple months here don’t really exist. In reality, ethics are messy and murky and complicated, and values surrounding ethics vary from discipline to discipline and from country to country. 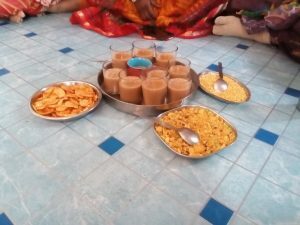 Warm welcome continued… chai and snacks. every single day for me. The best way I have found to deal with this is through constant communication with other people. Voicing my concerns, continually asking questions, and having ongoing conversation has been key to my learning and my ability to move forward in a manner that respects everyone who is involved. In doing so, I’ve realized that this should be a priority in research everywhere. Although it may slow the whole process down, spending time asking questions and discussing issues with others – in addition to following a set of ethical guidelines – will encourage individuals to share their own concerns, experiences and suggestions, facilitating an exchange of ideas.  As I have discovered, this will not only provide an excellent learning opportunity for everyone participating, but it will also help identify a diverse range of solutions to the ethical dilemmas that will undoubtedly arise in any research. This is only the tip of the iceberg; for the remainder of my time here and beyond, I will continue to ask questions, think critically, initiate conversations about the ethics of research, and search for solutions to address some of the specific problems that I have encountered. Hello! My name is Clara. 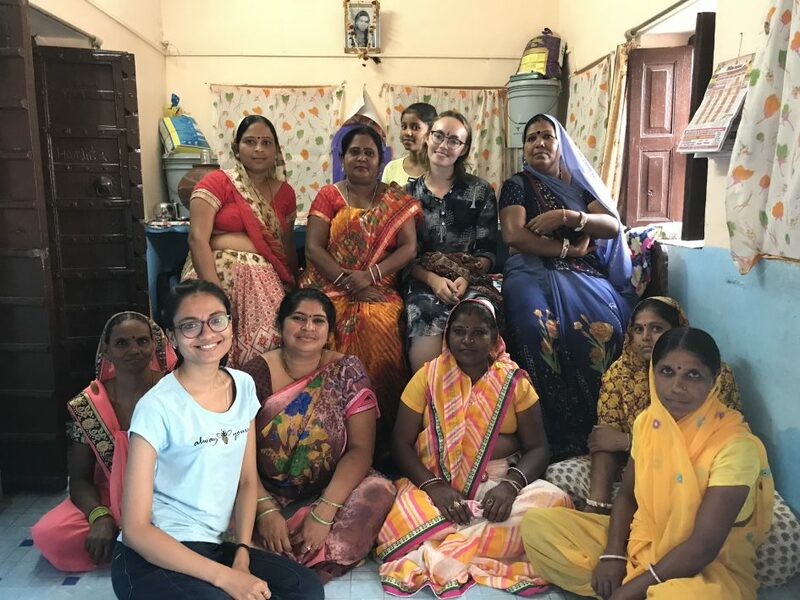 I have recently completed my bachelor's degree in Anthropology at UVic, and I am very excited and grateful to be spending my time in India working with the Society for Participatory Research in Asia (PRIA). Here you will find a collection of my questions, stories and reflections surrounding this experience.